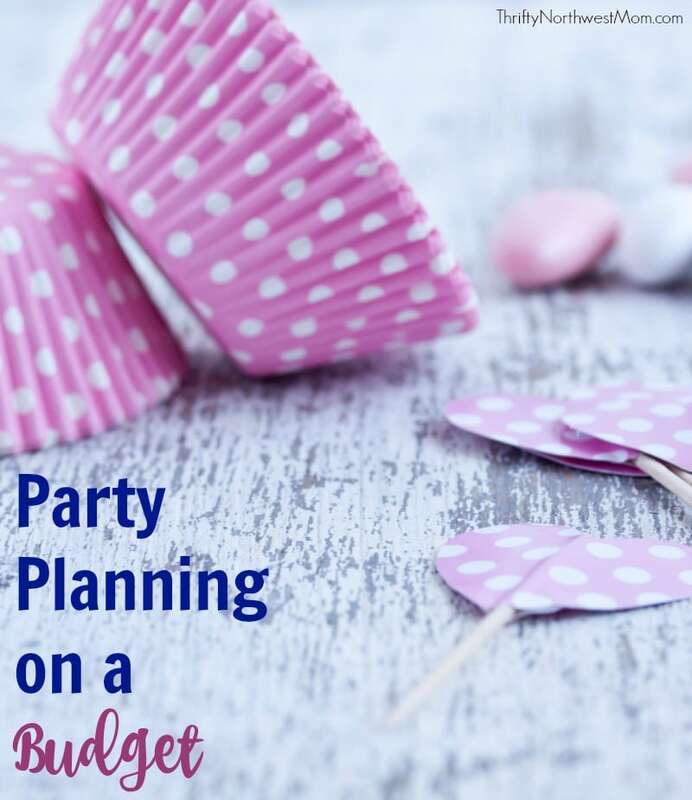 Planning early and ahead of time is key to keeping costs down when planning a party (just like couponing – shopping the sales & stockpiling so you don’t have to pay full price). I keep a notebook of party ideas in my purse along with a list of items I am looking for. I also always check the end of season sales at Target, Party City, and Michaels. I am surprised how often I am able to find paper plates, napkins and silverware at 75% off. Also, look for items you can mix and match or coordinate to save money. I have already said I am not a fan of the matchy- matchy, so I love looking for coordinating items. 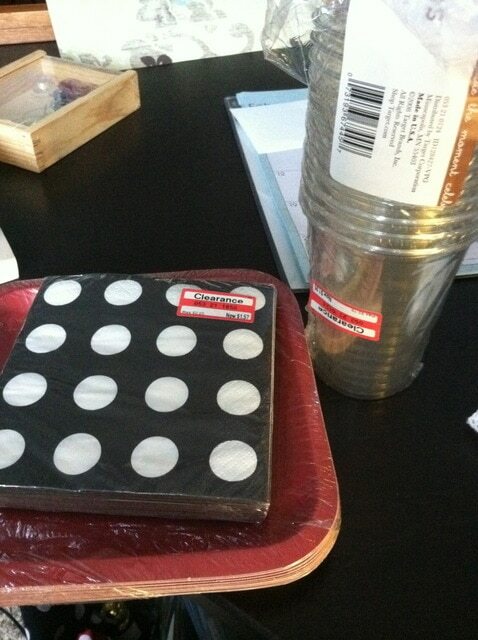 For example, for my son’s upcoming bowling party I found clearance black and white polka-dot napkins and clearance red plates-not matching but both coordinating for the look I am wanting. I also look at garage sales, Craigslist, Dollar Tree, thrift stores, and use the local library to keep costs down. I wanted a “how to video” for hula dancing for a party I did a few years back for a friend. I found one at my local library. In helping a friend plan her daughter’s wedding, we found tablecloths for way cheaper by shopping the sales rather than paying to rent the tablecloths. The best part is she can resell them after the wedding to make back a little bit of the money she paid. In planning ahead of time, there is a lot you can even make weeks before! You can bake many items weeks ahead of time and then freeze. Just don’t freeze those items. You can do this with cakes, cookies, and cupcakes. You can also press your linens, make party favors, signs, banners, labels, and thank you cards all before (even weeks before) the actual party date. 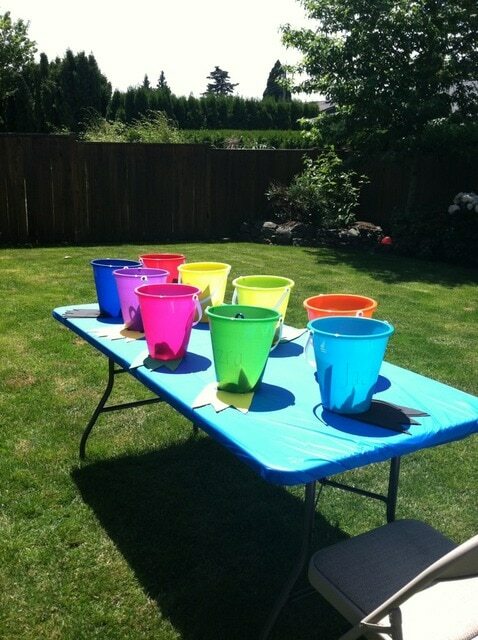 I have what I call my party bin – I keep it for upcoming parties that I am gathering items for. As I get the items or make the things on my list, I put them in the party box, so it all stays contained & easy to find. This will keep you from running around right before the party & wondering where the items are that you have been buying ahead & then having to spend more money to buy them last minute if you’ve misplaced the items. Sometimes thinking and planning ahead is easier said than done, but if you’re wanting to save money it will really help!